Butler Snow Advisory client NunoErin is featured in this Clarion-Ledger article, originally published September 27, 2014. 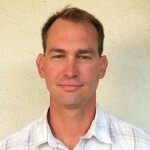 Joel Bomgar is the founder of Bomgar Corporation, a leading provider of enterprise remote support solutions. The company had an ownership change in May when TA Associates, a global private equity firm, acquired a majority interest in the company. MW: Joel, what has life been like for you after the Bomgar ownership change? JB: Life is fantastic! My wife and I have baby #4 on the way in early November, and I’ve really enjoyed having the time to pursue an interest in public policy while still being very engaged in Bomgar as well as having time with my wife, Rachel, and our children. MW: What now is your role with Bomgar Corporation and how are you staying involved with the company? JB: As chairman of the board, I continue to be involved in strategy, without the need to be involved in tactics or execution. That allows me to focus on vision and assist in numerous other ways where I feel I can add value. MW: Being the founder of Bomgar Corporation, I’m sure you want to see the company thrive. Where would you like to see Bomgar go from here? JB: We have spent the last 11 years building an incredible technology platform and worldwide sales and marketing reach with more than two hundred employees worldwide. Those ingredients provide a lot of opportunity for the future in addition to maintaining our #1 position in market share worldwide for enterprise remote support technology. My hope for the future is that we leverage all those assets to maximize their value while keeping and growing our #1 position in the marketplace. MW: Along with your involvement as the chairman of the board of Bomgar, what else are you doing with your time? JB: I’ve spent a ton of time studying a wide range of public policies both nationally and locally and also a lot of time studying economics and human behavior. If you understand economics as well as how people respond to incentives and how public policy alters behavior and often creates unintended consequences, it becomes a lot easier to understand what public policies will work and which ones won’t. MW: What made you interested in public policy? JB: Back in the mid-2000’s, I read the public policy primer “Governing by Principle” put out by the Mississippi Center for Public Policy. It was the first time I had read and understood the fundamental elements of what makes government and society work and that started me on the public policy knowledge quest. Since that time I’ve spent literally thousands of hours studying economics and public policy, including listening through lectures on history, philosophy, intellectual history, Austrian economics, and finance from the Teaching Company great courses series. All of this intellectual investment has resulted in me being even more interested in public policy than before. MW: What specific areas of public policy are you researching? JB: I’ve spent a lot of time trying to understand and solidify the underlying historical and economic foundations, but ultimately I’d like to have a thorough understanding of every area of public policy that affects Mississippians in a significant way, especially those areas where the state spends the most of the taxpayer’s money. For example, just five areas of the general fund budget represent more than 80 percent of where the money goes. Those five areas are elementary and secondary education (nearly 40 percent), post-secondary education (about 15 percent), interest payments on the debt (7 percent) and Department of Corrections (6 percent). I’d like to thoroughly understand every aspect of those areas as well as any other area that affects Mississippians. MW: Why, in your opinion, are those areas important to you and Mississippi? – What affects the most people and in the biggest way? – Where are the most financial or other resources going? – How much room for improvement is there in that specific area? When you look at each area of public policy through those three lenses it becomes much easier to focus and prioritize where time and energy should be spent relative to making Mississippi better and moving our state forward. One of the great joys I have in writing this column is that I get the opportunities to meet a wide variety of leaders. Some have been leading for decades and are in a stage of life where they are mentoring others while others are in the building phase of their career. Having studied the lives of so many leaders, I like to think that I am able to spot leaders on the rise. My interviewee this week, Tyler Harrison, is one of those young leaders that I believe will be making his mark. Harrison, a native of Monroe, Louisiana, is the owner of Harrison Homes, a residential construction company in Madison, Mississippi. Pre-2008, it seemed like everyone I knew was trying to get into the construction business whether qualified or not. Most of those people have returned to their old jobs or moved on; however, Harrison decided to follow his passion and step out of his fast track trajectory as a commercial construction industry leader and start his own homebuilding company. He explained, “My initial interest in construction rooted from an interest in homebuilding. This seemed like the right move for a long time. I enjoy time at home and love thinking about the aspects of a home that can make it better or more enjoyable for a family.” As any entrepreneur knows, it is never easy launching a new business, but Harrison’s experience, leadership style, and commitment to excellence have allowed him to develop a thriving business quickly. Harrison is a humble “hands on” leader. He explained, “I have always been impressed with people who lead by example, and I strive to lead by example rather than by portraying myself as better than, or above someone else. I strive to help those around me succeed, but continue to work hard and stand firm to ensure my own success as well.” For other aspiring leaders he emphasized the importance of learning from others and becoming a working “not only a leader but also a teammate.” I am always encouraged to be around talented leaders who have the courage to follow their dreams. I expect we will see Harrison making an impact in the community for years to come. Great achievements in life are never solo endeavors. Sometimes we forget that. We can be like the turtle on the fencepost. As the story goes, “if you’re walking along a fence and spot a turtle sitting atop a fencepost, you know it didn’t get there by itself.” True leaders have the humility to recognize the important role that other people have had in their lives. Sir Isaac Newton once said, “If I have seen further than others, it is by standing upon the shoulders of giants.” My interviewee this week, Josh Gilreath, is one of those leaders who has accomplished great things as a leader but humbly recognizes that he is standing on the shoulders of others who have developed him as a leader. Gilreath is the new State Director for Fellowship of Christian Athletes (FCA) in Mississippi. Gilreath is following in the footsteps of Bill Buckner, who passed away in May of this year after a lengthy illness and leading the organization for 27 years. All of these influences and others have shaped Gilreath’s philosophy and character as a leader. He believes in leading with vision and emphasizes what could be and should be if you lead towards it. To help young leaders find their true passion and calling he challenges them to answer the question, “If money didn’t matter what would you do?” Gilreath brings a wealth of his experience to his new position. I know that Gilreath and the 31 dedicated full time staff members of FCA Mississippi will continue to positively influence thousands of students and coaches every year around the state. 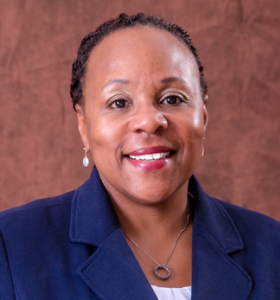 Wendy B. Scott, the new Dean of the Mississippi College School of Law (MCSOL), is one of those leaders with the ability to turn vision into reality. She experienced the power of vision first hand as a child growing up in Philadelphia, Pennsylvania, where her family settled after her father retired from the Army. As one of three daughters, she was heavily influenced by her mother who spoke vision into her life. Dean Scott shared, “From a young age my mother poured herself into me and my sisters and cast a vision for us that we should grow up and be successful professionals making a difference in the world. To this day, she continues to speak encouragement into my life.” Dean Scott has certainly lived up to her mother’s vision. She went on to get her undergraduate degree at Harvard and her law degree from New York University Law School. With her academic credentials, Dean Scott could have pursued many career paths. She chose the path less taken to follow her passions to make a difference. She worked for nine years in employment law helping those less fortunate. She worked at the Legal Action Center of the City of New York, as an associate at Vladeck, Waldman, Elias & Engelhard in New York City, and directed litigation as the associate counsel for the Center for Law and Social Justice, a community law office in Brooklyn, New York. During this time she began teaching law at Hunter College, Brooklyn Law School, and CUNY Law School and discovered how much she enjoyed working with students. She decided to pursue teaching full time and served in administration and as a professor at Tulane and North Carolina Central School of Law before joining MCSOL. In her new role, Dean Scott is meeting with faculty individually to hear their vision for the Law School. She shared, “One of things I have learned as a leader is that the vision for an organization has to be a collective one.” She has a passion for excellence and is a firm believer in the power of the team. Dean Scott noted, “My predecessor Dean Jim Rosenblatt built a great team, and I am fortunate to inherit such a talented group of leaders.” She believes in recognizing and rewarding successful teamwork and has emphasized that to the staff. For young leaders, she encourages them not to simply chase money, but to truly consider their dreams and passions and have the courage to pursue them. Dean Scott brings a wealth of experience and a vision for making a difference to MCSOL, and I know that she will be a positive influence not only on the law students, but also the community and the state.